When I decided on this tablet, I was apprehensive whether I was making the correct decision. There was nothing particularly deal-sealing about it, and I'm leery of domestic makers. While I want to support them, since I live in Japan, all of the galapagos Android phones that I've used have been hindered by custom UIs and weighed down by unwanted bloat. More importantly, the domestic makers have not reliably provided Android version updates and have never provided unlocked bootloaders. 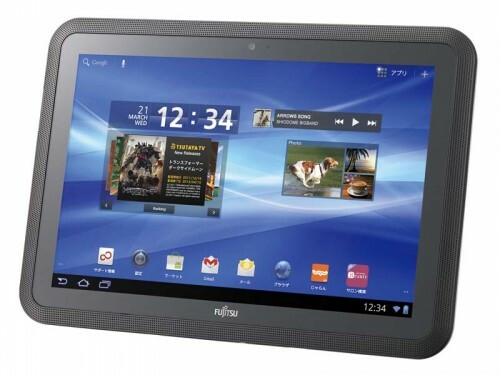 Most importantly, Fujitsu has yet to announce whether this tablet is getting an update. While an update to ICS would be nice, the differences between Honeycomb (3.2) and ICS (4.x) are relatively minor compared to the jump from Donut (1.6) to Eclair (2.1). Even if the Arrows Tab never gets updated, a year after purchase this tablet will undoubtably be more usable than, for example, the Sharp IS01/Lynx, which had its plug officially pulled after only six months, and was left to rot with a locked bootloader on 1.6 (even though it had a more-than-capable 1 GHz Snapdragon processor). Now that that's out of the way, I'm happy to report that I'm pleasantly surprised with my experience so far. Keeping in mind that this is my first extended experience with a tablet, I'm going to provide less of a review and more of an overview of the Fujistu Arrows Tab Wifi version. The Arrows Tab Wi-Fi is essentially the wifi-only version of the NTT Docomo F-01D. The main difference is that it lacks an LTE cellular radio but gains a biometric fingerprint reader. Note that the cases for the F-01D do not have an opening for the biometric sensor. Cases specifically designed for the wifi version are not yet available. GPS, accelerometer, magnetometer, light sensor, biometrics. * This was the best online price at the time of purchase. There are two potential wifi radios, each of are supposed to support 2400 to 2483.5 MHz, which should include up to 802.11n channel 14. (14 is limited to Japan and usable on Japanese-only devices or Android devices with a 440 MCC SIM - any other SIM will deactivate ch. 14.) However, even if I set my channels to 20 MHz bandwidths, the Arrows tab can't see channels 12, 13, and 14, which is a bit of a shame because these bands were the least crowded in my wifi environment. 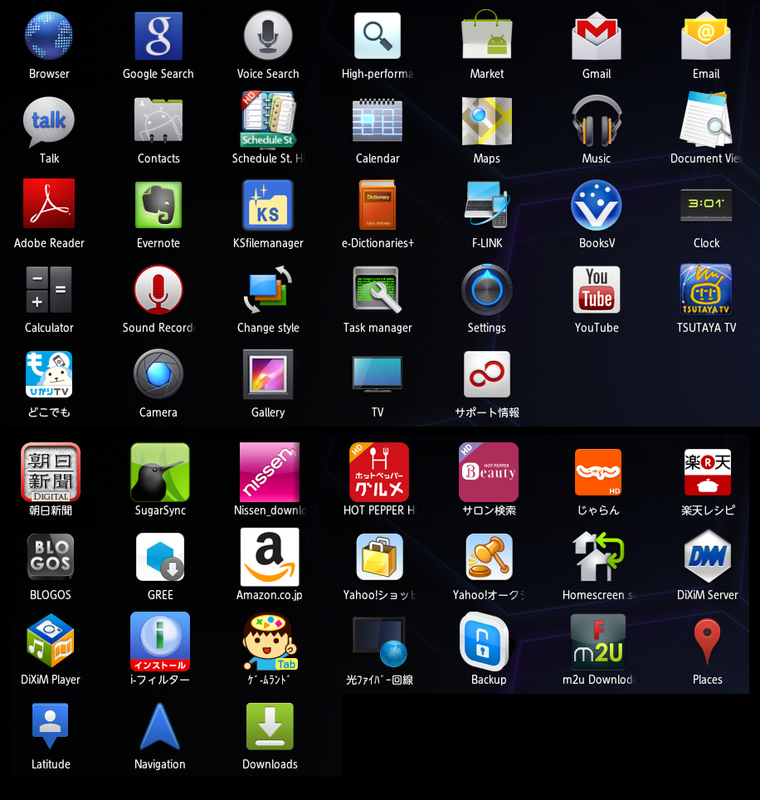 The Nexus One can connect on ch. 12 and 13. Speaking of the Nexus One, it provides mobile connectivity through wifi hotspot tethering (infrastructure mode). With a phone that can tether, the need for a cellular radio on a 3G tablet is greatly diminished. For better or for worse, this is what sets this tablet apart. Of course these features are nice to have, but the more a device diverges from pure AOSP, the less likely timely updates become. The galapagos features are listed in order of how useful they are to me. This is really cool. 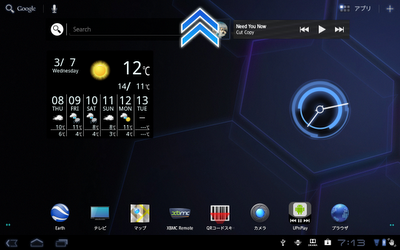 I exclusively unlock the screen using the biometric fingerprint reader on the back left of the tablet. To use it requires registering a backup unlock method (PIN or screen pattern), and at least two fingers. A total of ten can be registered. We figure the requirement for at least two fingers has less to do with the possibility of losing one and more to do with the possibility that the biometric data could get corrupted. When registering a finger, you first select which finger you intend to register, as in the image below, then swipe that finger at least three times. It doesn't appear that you have to swipe the corresponding finger, and all registered fingers don't need to be fore the same person. The two fingers on the "left hand" are from my left hand. The two fingers on the "right hand" are from my wife's left hand. 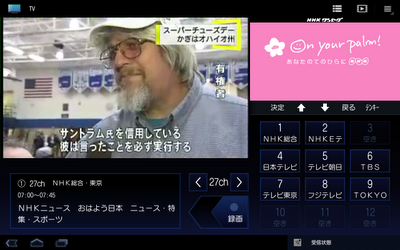 One Seg in Japan is a 15 fps, 320x240, h.264 broadcast. Do don't expect it to look crystal clear in full screen on the Arrow's 1280x800 screen. Also, it's worth pointing out that owning a device equipped with a tuner obliges you to pay NHK fees. I never had trouble with indoor reception with my old AU phone (while it had an active SIM, that is). However, the lack of an external antenna appears to adversely affect reception on the Arrows tablet, which is fine by me because an external antenna would be ugly and compromise the water resistance. As with built-in FM radio, plugging in headphones may help. Unfortunately, the only place I don't get one seg reception is in my bathroom. Holding the tablet slightly improves reception from nothing to something-every-few-seconds. I'm currently considering if there is a way to rig up an external antenna that feeds into the bath. Two work arounds exist: 1) use the built-in one seg recorder to save a program to the SD card (cannot save to internal flash memory) or 2) stream recorded TV from a DLNA-equipped TV or 3) stream media using UPnPlay from my XBMC box (which works flawlessly). First off, there is no such thing as "water-proof". The USB and SD slots are sealed with O-rings. 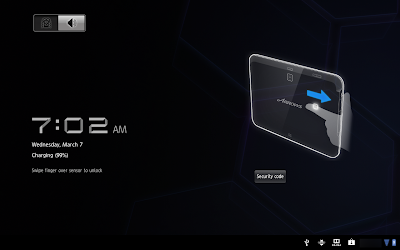 Upon startup, the initial splash screen is a reminder to secure the covers before getting it wet. The Arrows Tab has two water-resistant certifications. IPX5: Able to withstand from any angle a 3-minute flow of 12.5 liters/minute from a 6.3 mm nozzle at a 3-meter distance. IPX7: Able to withstand gentle submersion to a 1-m depth in still water at room temperature for 30 minutes. This means it can be 1) used in the rain (20 mm/hr) without an umbrella for up to an hour and 2) submerged in a 1-meter pool for up to 30 minutes. If using in the bath, do not directly submerge in hot water. Limit usage to 2 hours. Don't allow it to come in contact with soap or detergents or anything other than tap water (NO ONSEN!). It can be washed in the sink. 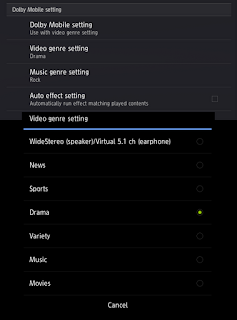 issues up/down/right/left scrolling commands that change the one seg channel, scroll webpages, adjusts volume, etc. What usually results is either nothing or something unexpected. I was often triggering it by accident so I disabled the function. This probably works well with a trained expert under controlled conditions. This rules out me and my home. Arrows appear on the screen upon successful gesture input, often in an incorrect direction. 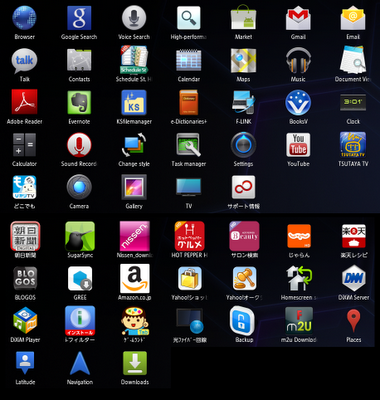 The screenshot below shows all preinstalled software. Not all of it is crap, though a lot of it is. Some of these applications are nothing but bookmarks. Others are for paid services. Yet others are installers. 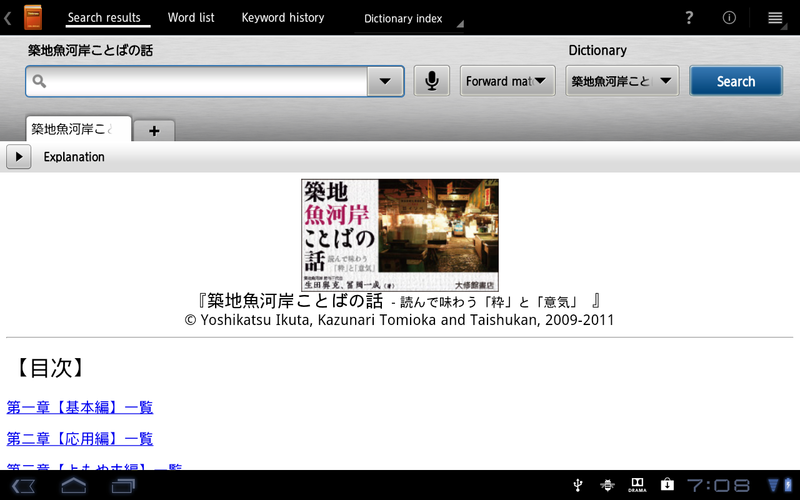 I actually found my wife using the じゃらん app (domestic hotel/resort reservations). There are three things in particular that I am quite pleased with. ATOK is preinstalled. While Google's IME is the best free one available, ATOK is simply the best available. It may actually be worth the ¥1,500 price tag. 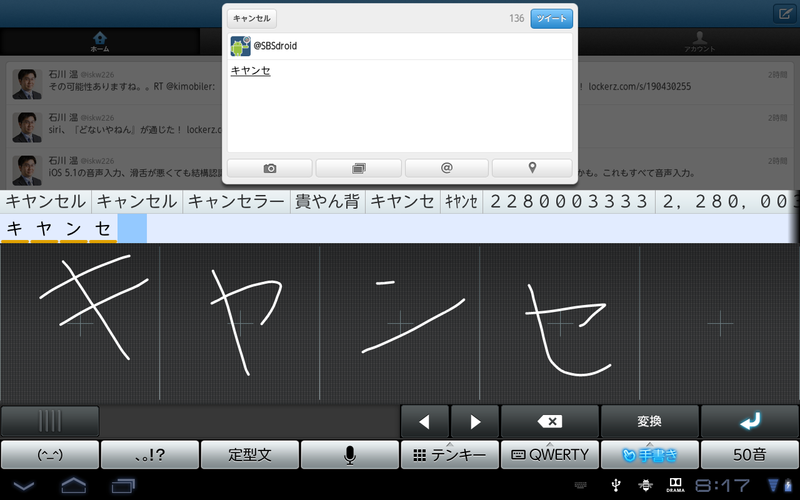 For English, however, the default keyboard is still better. Hopefully one of these days we'll get one keyboard for all languages. The keyboard notification (next to the USB icon) is a welcome addition for changing languages. 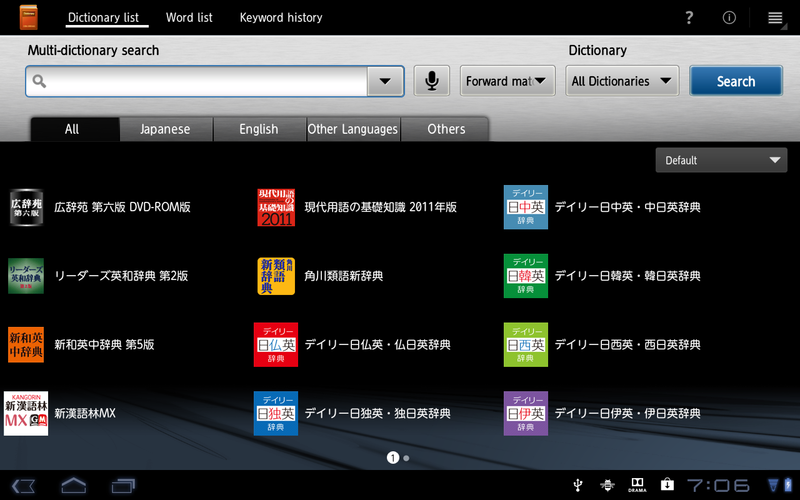 Included free are very good dictionaries for Japanese to English, German, French, Italian, Spanish, Korean, and Chinese. (Neither my wife of I knew that Spain is referred to as 西.) 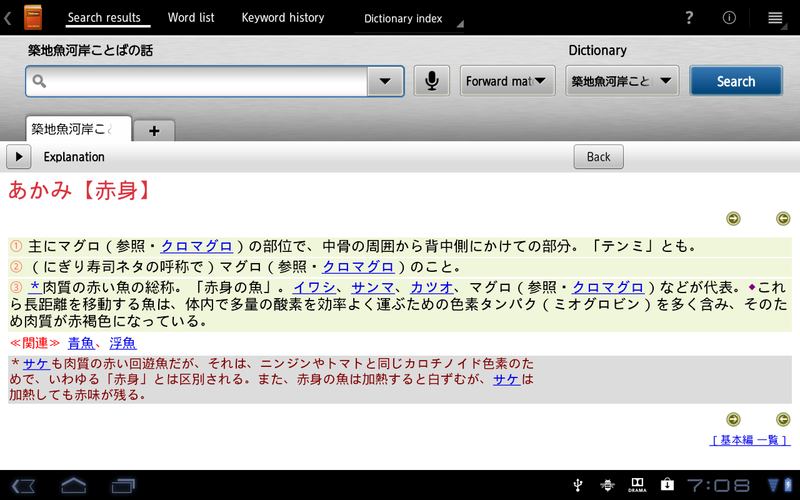 Many of the dictionaries included are 3-way between English, Japanese, and one other language. There are both conversational and standard dictionaries. 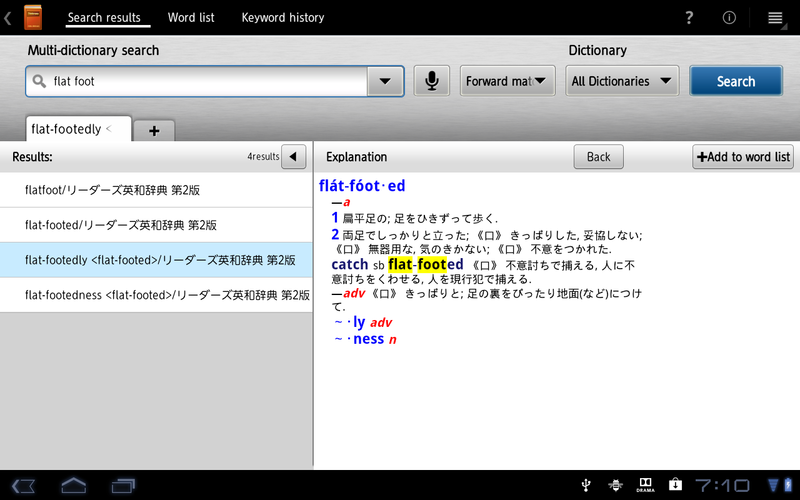 There are also a number of Japanese dictionaries, including one all about fish. What better to take to the Tsukiji fish market than a water-resistant tablet? I'm not familiar with the price of dictionaries, but having these included seems like a significant added value. 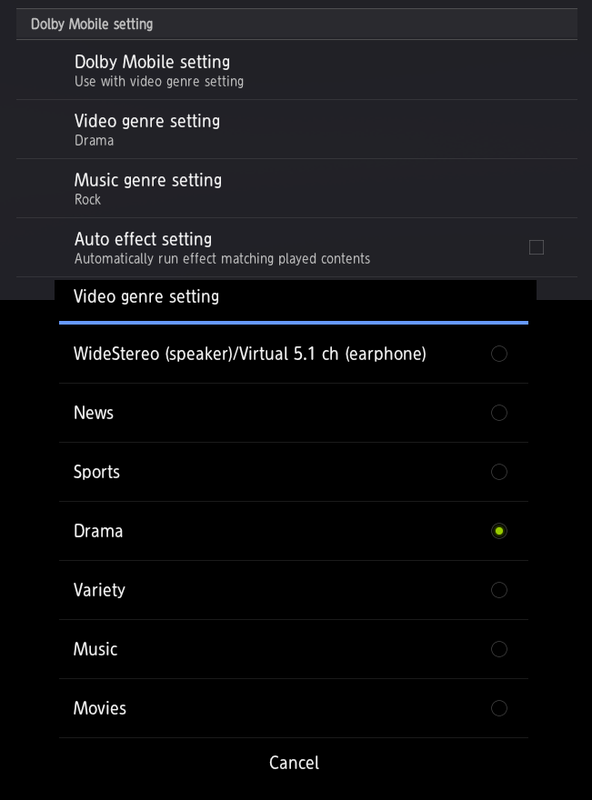 I'm not sure if this is common on tablets, but it greatly improves sound quality and contains separate presets for when playing video and music. 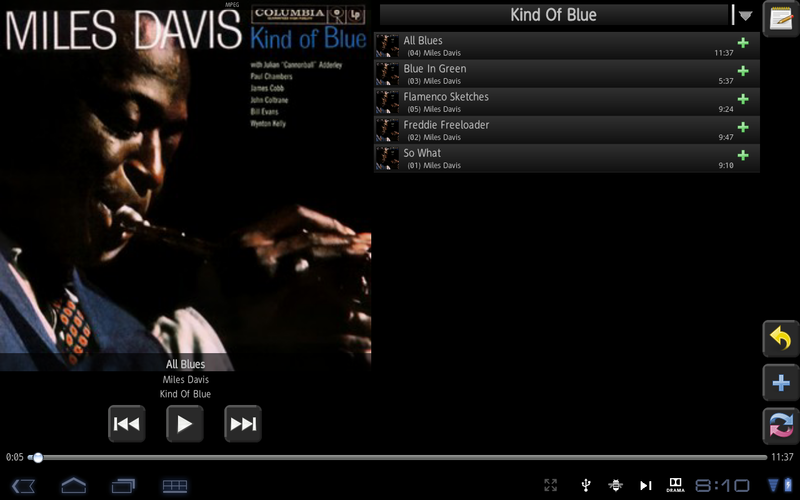 Streaming media from XBMC is seamless with UPnPlay. All you have to do is enable UPnP in XBMC. There rest is self explanatory. What's particularly nice is that XBMC serves the actual media "library," not the directory structure spanning various disks. 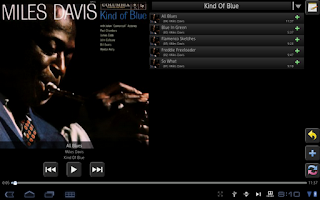 Video requires an external player, such as MX Video Player. There's been a lot written about which chipsets can do hardware decoding of which codecs at which bit rates, resolutions, etc. I'm the wrong person to ask about any of that. I wasn't prompted to install any extra codecs. The micro USB is somewhat loose fitting. No fastboot (as far as I can tell) and a (presumably) locked bootloader. Uncertainty regarding an update to ICS. Too new on the market to have any cases available. It doesn't pick up wifi channels 12 and 13, though my Nexus One does. 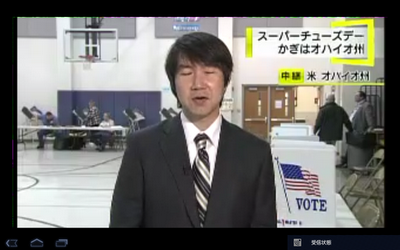 I used channel 13 because it was the least crowded around me, but was forced to change to ch. 11. "We figure the requirement for at least two fingers has less to do with the possibility of losing one and more to do with the possibility that the biometric data could get corrupted." More likely, we all tend to hurt our fingers in small ways all the time. You don't want an untimely scratch or cut to lock you out of your tablet for days. Makes sense. Nicholas mentioned that after a day of rock climbing, he could never get his fingers to swipe correctly on his stuff. And of course, there is the requirement of having a backup method registered. How can the wifi channel be checked? 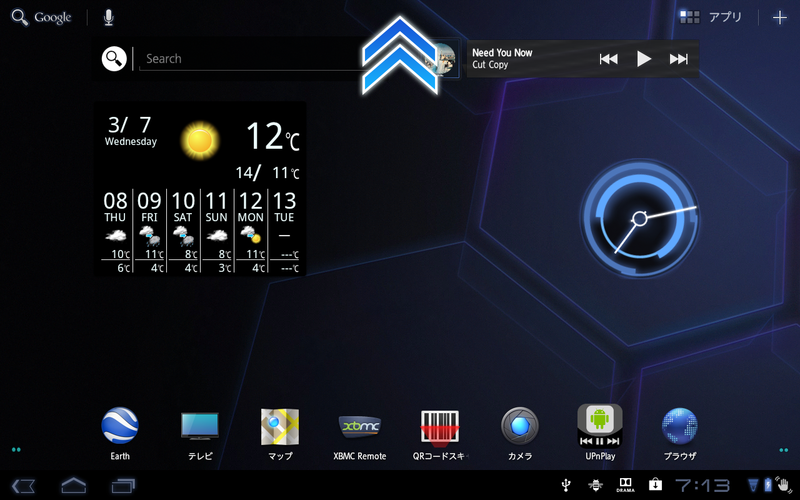 Am using a rooted DHD with CyanogenMod 7.1. Do I need to install some tool to check this? Depending on the dictionaries included, it's probably worth at least 4000 yen. 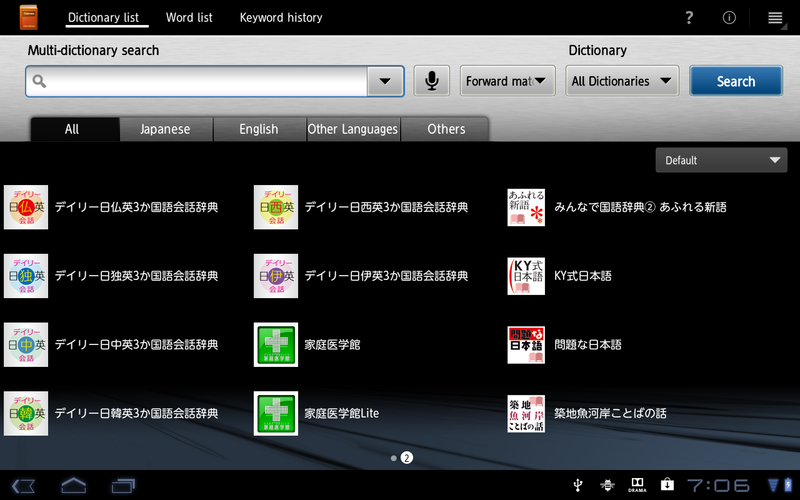 (Sharp also includes over 10000 yen worth of commercial dictionaries on their smartphones). i have a problem with its batery i charge it 2 days but it remain empty tell me solution is that a problem in tablet or charger?